But Jobster deleted the content of his post #656. Also, stop stealing phrases from my posts. No problem. But I think that they got it right. And apparently, so do all the other $623,357,910 worth of fans domestically, and all the $1,518,812,988 worth of fans worldwide. And the same thing for Avengers 2, regardless of its few shortcomings. It wasn't a perfect movie, particularly that demi-god vs god battle near the end. But it scored a bullseye shooting for honest heroism without a single note of cynicism, and people responded to that. Heck, I responded to it, and I knew what they were doing all along. ""I am Diana of Themyscira, daughter of Hippolyta, Queen of the Amazons... in the name of all that it is good...your wrath upon this world... is OVER!" ...without the slightest bit of cynicism, and at that moment they had the audience fully along for the ride. Also, perhaps it was this? Hey... That was the best part. Also, quit changing the subject, because we were talking about The Avengers. Money aside I think they nailed it with her then any other DC "not counting Nolans Batman." My wife is one of the strongest person I've met before as was my mom. For me there was something about that in the movie that stuck me. I don't know. WW is such an Icon for women every where so that was a huge plus for those women who grew up with her. I don't expect ANY comic book movie to be perfect. Glad they didn't go that route. Oh, geeze. Now you have me conflicted when comparing Wonder Woman to The Avengers. But where's mkpunk? I don't want him to see me in this predicament. WW is such an Icon for women every where so that was a huge plus for those women who grew up with her. What phrases? 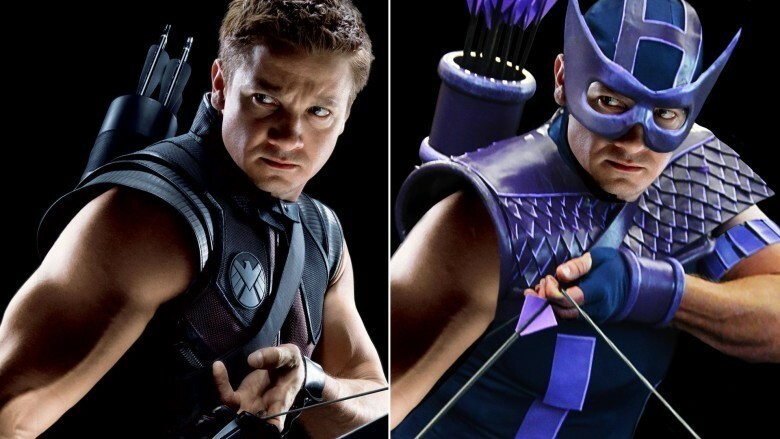 No offense, but I skim past lots of stuff, especially posts that contain pix of Hawkeye in a Wonder Woman thread. We all know how much those movies made. It's a team film, like Civil War. What's your point, Willy? Wonder Woman is an 800 million dollar movie that doesn't rely on any other heroes in DC's stable. That's more than most of Marvel's single character films. Even Doctor Strange with the ever-popular Benny (not to mention the brand) didn't manage that.